The Israeli assault on Gaza continued after Prime Minister Benjamin Netanyahu refused to renew a ceasefire agreed to earlier in the day after he claimed Palestinian militants had violated earlier truces. At least two Palestinians were killed and dozens injured in Israeli airstrikes and shelling from land and sea on Sunday evening, as the total Palestinian toll in the deadly assault hit 1,032 with more than 6,200 injured. Israeli forces have also killed 11 Palestinians in solidarity protests across the West Bank. Of the total, 13 Palestinians were killed Sunday morning by Israeli forces during the ceasefire, while 117 bodies were recovered on Saturday as medics had access to large areas that had been off-limits during an agreed-upon humanitarian ceasefire that lasted 16 hours. On Sunday afternoon, after the expiration of that ceasefire, Hamas announced that all militant groups would be respecting a 24-hour ceasefire beginning at 2 p.m. But as Israeli airstrikes continued and officials announced their rejection, rocket fire continued from the Gaza Strip, injuring one Israeli civilian. Meanwhile, the Israeli military’s death toll in the conflict hit 43 overnight, while three civilians in Israeli have been killed as well. Hamas continued to insist that any lasting ceasefire must be based on an Israeli lifting of the blockade on Gaza, with leader Khaled Meshaal warning that Palestinians cannot coexist with their neighbors while their land is occupied in an interview broadcast on Sunday. 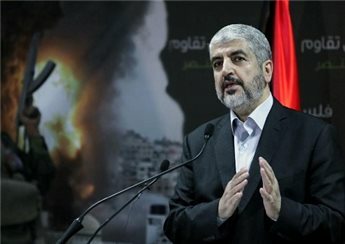 On Saturday, Meshaal was interviewed by US broadcaster PBS in the Qatari capital Doha while in Gaza the party was under assault from Israeli forces in renewed fighting. Asked by veteran interviewer Charlie Rose whether he could foresee living beside Israelis in peace, Meshaal said only a future Palestinian state could decide whether to recognize Israel. “We are not fanatics, we are not fundamentalists. We are not actually fighting the Jews because they are Jews per se. We do not fight any other races. We fight the occupiers,” he said. “When we have a Palestinian state then the Palestinian state will decide on its policies. You cannot actually ask me about the future. I answered you,” he said. On Sunday evening, Israeli airstrikes and shelling continued in Rafah in the southern Gaza Strip as well as in Jabaliya and parts of the eastern Gaza Strip, with the army saying in a statement around 8 p.m. that they had struck 40 “targets” since the end of the ceasefire. In Khan Younis — the site of heavy fighting in recent days — a cautious calm prevailed, as Israeli airstrikes and shelling had not yet resumed to pre-ceasefire levels. The calm, however, has repeatedly been interrupted by Israeli airstrikes. Issam Abu Shab was killed and two others injured in a strike on a motorbike in Khan Younis on Sunday evening, Gaza Ministry of Health spokesman Ashraf al-Qidra said. Ahmad Abu Sa’da died of injuries sustained in a strike on Khan Younis. Mohammad Ahmad Siyam, 12, on Sunday died of wounds sustained in an Israeli attack on Gaza earlier. Two Palestinians were also injured in naval and artillery shelling on Gaza on Sunday evening. Israel launched Operation Protective Edge against the Gaza Strip in response to rocket fire from the area, which increased sharply after Israel launched a massive assault across the West Bank that it said was an attempt to “crush” Hamas. That operation — which began in June and ended in early July — left nearly a dozen Palestinians dead, more than one hundred injured, and a thousand more in Israeli jails. The Gaza Strip has been under Israeli siege since 2006 since Hamas was democratically elected into power by the Palestinian people, and has been subject to frequent bombardments. A 2008-9 assault killed 1,400, while a 2012 killed nearly 200. The vast majority in both cases were civilians, and Gaza-based rights groups estimate around 80 percent of present casualties are non-combatants as well.